Franklin Police have identified and arrested a Brentwood man for the felony offense of Reckless Endangerment with a Deadly Weapon. 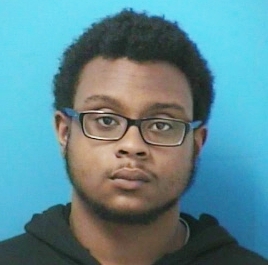 The arrest comes after 19-year-old Tahj Turnley lost control of his vehicle while showing off for the crowd as he was leaving a Cars and Coffee event held in the Thoroughbred 20 Theatre parking lot on March 4. In this video, Turnley is seen driving with total disregard for the safety of bystanders, many of whom had to take evasive action to avoid being run over. The vehicle Turnley was driving can be seen here, leaving the roadway and skidding onto the grass where a crowd had gathered. Franklin Police Officers used this video, posted on social media, to help identify Turnley. Charged with Reckless Endangerment with a Deadly Weapon, Turnley is free on the $5,500 bond set by the Magistrate. He is due in court 05/04/2017 at 1:00 pm.